The Coolabah is in the Nishi Shinsaibashi area of Osaka City. 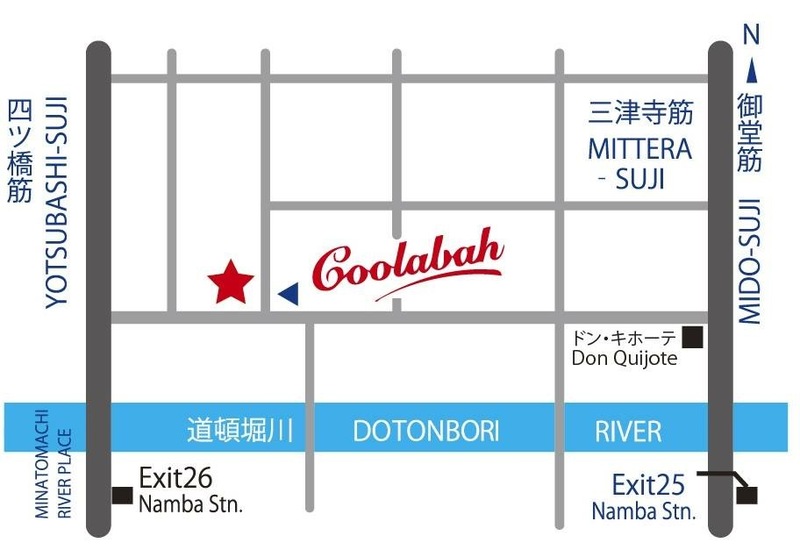 To get there from Namba station, leave the station by exit 25 and walk north over the Dotombori River. On your left on the rivers edge you will see a variety store called Don Quixote. Take a left on this street. Follow the road down for roughly 250 meters, you will find the Coolabah in the street opposite the 100 yen Lawson.